New technology was a subject dominating Auto Glass Week 2014™, especially lane departure systems and items needing re-calibration or initialization. I have addressed this topic in the past, but at the show we had experts from many fields giving their viewpoints at seminars and committee meetings. 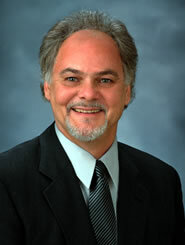 It all started the first day in the Auto Glass Safety Council’s Standard Committee meeting. Mitch Becker of ABRA Auto Body & Glass presented a proposal to add a new directive to the standard addressing driver-assisted systems such as lane departure, automatic braking systems and intuitive cruise control. The committee debated the suggestion for most of our scheduled time. It is such a complex issue that we decided to form a sub-committee to study the ramifications and present a proposal for the full committee’s consideration. Those who read my blog regularly may not be surprised that the discussions were centered on the issue of whether these systems were safety devices or performance features. One presenter said they were not safety devices because they are controlled by the driver, thus making them an option. Other presenters claimed that the marketing of these devices emphasize “added safety” so they must be considered a safety item. There were also a number of spirited conversations during presentations and cocktail parties concerning when and if the devices need calibration and how to go about it. My take on the issue has not changed. Whether a driver-assisted system is called a safety device or not, if it comes to litigation, you are better safe than sorry. If an automotive glass shop or a dealer fails to reset, recalibrate or re-initialize a system, they will be called into court to explain why they didn’t. The judge and/or a jury will not care what the vehicle manufacturer calls it when a disabled victim is wheeled into the courtroom. When do you re-calibrate? I think it comes down to common sense and what the vehicle manufacturer recommends. If the driver-assisted systems are attached or in close proximity to the automotive glass in the vehicle, it is wise to have it re-calibrated by a certified shop. If the vehicle manufacturer recommends re-calibration after glass replacement, it is your responsibility to make that happen. My recommendation is to personally make an appointment with a certified dealer or shop for your customer. Then notify the two parties verbally and in writing of the details and hand the responsibility of recalibration to them to complete. Doing it this way you have greatly reduced your liability exposure. Whether we like it or not, driver-assisted systems are not going away. On the contrary, they will be increasing and be more sophisticated. We will have to oversee and document the steps we make to keep these systems operable, or we will have to add system recalibration to our list of services. 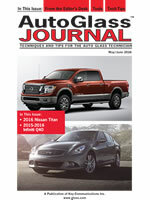 The Auto Glass Safety Council™ met with I-Car at the show and they promised to work with us on this issue as well. Look for some new announcements in future months. Here are a couple recalls that may be of interest and for ‘good-to-know’ facts. This first one is not too important to us but it is one of those good-to-know items that may come in handy down the road. Knee air bags don’t affect us when it comes to auto glass installation but it can be one of those things that should be mentioned to your customers as a service. This recall would be very important to those that use Ford Transits as a service vehicle however the recall is for vehicles without rear seats so the risk of injury is only if aftermarket seats are added. Ford will notify owners, and dealers will install a reinforcement plate into the windowless sliding door, free of charge. The recall is expected to begin around September 22, 2014. Owners may contact Ford customer service at 1-800-392-3673. Ford’s number for this recall is 14S16. This recall is right up our alley and we will be called to replace these windshields. If one of your customers complains of bubbles in the glass, remind them of the recall. If the bubbles are located near or at the bonding area of the glass, then the recall is more serious and should be encouraged. Air bubbles in the windshield could impact the driver’s visibility, increasing the risk of a crash. Ford will notify owners, and dealers will inspect the windshields for air bubbles, replacing them as necessary, free of charge. The recall began in August 2014. Owners may contact Ford customer service at 1-800-392-3673. Ford’s number for this recall is 14C07. This recall is important to the proper operation of the air curtains and replacement of the interior garnish moldings must be encouraged. Honda will notify owners, and dealers will inspect the A-pillar interior cover and install the correct A-pillar cover, as necessary, free of charge. The recall is expected to begin on September 25, 2014. Owners may contact Honda customer service at 1-800-999-1009. Honda’s number for this recall is JF9. I recently got an email from Kim Speer at Binswanger Branch 53 in Liburn, Ga., concerning the windshield options on a 2007 Toyota 4-Runner. With the exception of the Toyota Sienna, with its practically invisible wiper park heaters, picking out correct windshields on Toyotas are usually pretty straightforward. The 2007 Toyota 4-Runner has two windshield options that are not that difficult to differentiate; the FW2372 is green tint green shade and the FW2371 has an electro-chromatic mirror. There are no attachments on either of them and those two windshields are the only options. So it’s not that hard to pick the correct part, right? Well, here is the story of the mystery of the 4-Runner. 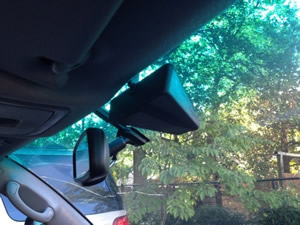 The customer says that they bought the vehicle new and there is a device attached to the right side of the windshield-mounted rearview mirror. Kim got the VIN and called it into the local dealer. The dealer’s parts department said there are only two windshield options and neither have a device attached. Walter Bonds, the technician, called me and I suggested that they visit the vehicle and take pictures of the device. The pictures indicated that it wasn’t a light or rain sensor, nor was it a lane departure camera because there was no window in the frit, it was a solid black frit. It could only be a transmitter or antenna of some sort. I took the VIN and contacted my local Toyota dealer as well. They gave me the same information Kim got from theirs. We had a dilemma that no one was able to solve. The customer wants a windshield that doesn’t exist. How do we find a windshield that doesn’t exist? Do we paint our own frit? Do we explain to the customer that they have to give up a device that they have had since they purchased the vehicle? We didn’t even know what it does. I love a challenge, so I set out to find the solution. Some of you may have heard that Toyota likes to do experiments on selected vehicles and not tell anyone (eg. 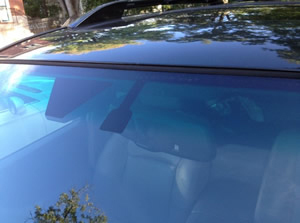 hydrophobic windshields on the Camry). I contacted my Toyota insider and he said he knows of no special test conducted by Toyota on that model vehicle. Then I called my insider at NAGS and he said there were no other manufacturer changes in windshields for that particular vehicle. His guess was that this was probably an aftermarket device added at the dealer. So we have another dead end, but a clue. Could this be a dealer added device? I turned to Google next. I Googled every device I could think of, from remote starts to GPS antennas, and hit “images” so I could try to match up the same configuration of the device I saw in the pictures sent to me. No luck. What was throwing me off were those pictures. The device looked like it was original-equipment. The decorative cover was color coordinated, the wiring looked factory and the frit looked like it was applied by the glass manufacturer. But if this wasn’t an experiment from Toyota, what was the answer? I decided to ask for assistance from my friends on LinkedIn. I composed a “Help” post and requested any knowledge as to what this thing was. I belong to 17 groups and joined another one just to get the most coverage. It took two days of many suggestions and theories but sure enough a person came through with the answer and proof. Shelby Simes, ARG product line engineer at Creative Extruded Products, came up with the answer. 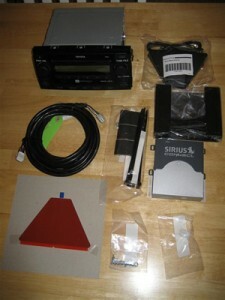 It is a Sirius Radio Antenna. Mystery solved. What he offered for proof was this picture. Does the red pad in the lower left corner look familiar? Shelby said that it is a factory installed Sirius radio add-on and the red adhesive pad is how the antenna is applied to the glass surface. The pad appears to be a black frit in the pictures and the cover is perfectly coordinates to the interior color of the vehicle. Mystery solved with a little perseverance and, to quote an old Beatles’ song, a little help from my friends. Wow, was that fun. Keep those challenges coming, I love detective work.